"Sell fully customizable products with a dynamic price calculation." Do you want to offer highly customizable articles for customers? With this configurator you give the customer the tools to customize your products as he likes. You can set measurements, weights, ranges and any other option you can imagine. After installing the app and registering an account, you get access to the configurator. 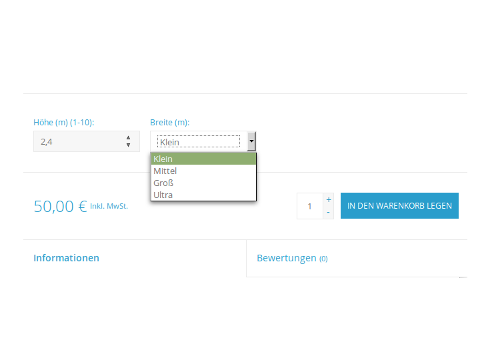 In calculations you can easily create a new formula and add input fields for your customer. The fields can be added to the formula as via a simple click and will be used in your shop to calculate the order quantity of your product. Save the calculation and it will be available to your products. 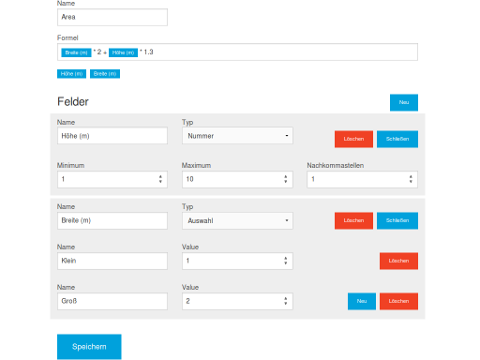 In the Lightspeed backend under product and "custom fields" in a new created article you have to add an textfield with the name of the calculation, than the configurator will be loaded in the shop, thats all. Now, the customer gets all the options, ranges and measures you created in the backend in a simple overview and the price will be calculated in the background automatically. The customer is able to put the fully configurated article to the cart and buy it with the calculated price. Lightspeed templates are well supported, provided custom fields or variable names in the cart are not changed in the template. 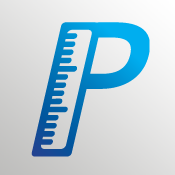 If your template is not working well with Pricen, tell us, we'll make it work. Attention: We're sorry, but the following templates are known not to work at this moment: "Berlin" and "Boutique". We're working on it. 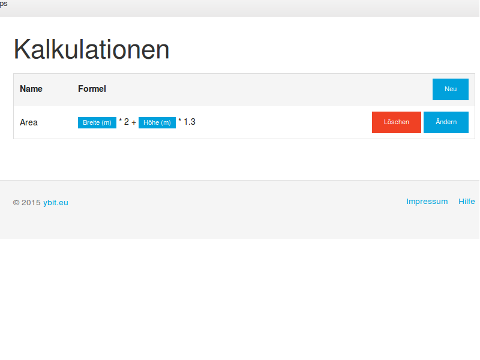 "Boutique" is using an old version if jQuery, so we might not support it in the near future. There's a help page containing documentation how to use the app and deal with problems. Feel free to contact us if there are questions, you're havong problems or great ideas how to make Pricen better: [email protected].